1. Fixes a phenomenon in which standard exposure may not be obtained, or an irregular exposure may result, when Silent LV (Live View) shooting with the following TS-E lenses: TS-E 50mm f/2.8L MACRO, TS-E 90mm f/2.8L MACRO, or TS-E 135mm f/4L MACRO. Firmware Version 1.1.8 is for cameras with firmware up to Version 1.1.7. 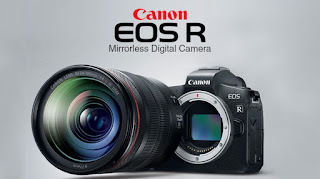 If the camera's firmware is already Version 1.1.8, it is not necessary to update the firmware. If the firmware is updated from version 1.1.3 or before, the following setting will be reset to default. The extracted folder contains the firmware (File name: 6D000118.FIR, File size: 21,345,792 bytes) and instructions on the firmware update procedures (a PDF file in five languages: Japanese, English, French, Spanish, and Simplified Chinese). Q: Are the improvements from previous firmware versions included in Firmware Version 1.1.8?